One cannot be tolerant to something one doesn’t know. So first comes Listening. Otherwise ‘tolerance’ can be quite in-tolerant. “You must be tolerant.” is of course a paradox. Is tolerance then selective? It appears to be so. You could even define tolerance as being intolerant to intolerance. There is – at first sight – no contradiction in this. Even more, deeming yourself a ‘tolerant person’ and then accepting intolerance just like that, would be hypocritical. Being tolerant is in the first place listening to someone else’s opinion. Then: trying to understand it, doing an effort to look at it from the other’s viewpoint, putting your own viewpoint next to it, showing the latter in an optimally understandable way. Without knowing the other’s opinion, how can you be tolerant to it? You cannot. In that case, it’s just ignoring that opinion. When you have done your listening well, then to tolerate the other’s opinion is not necessarily to agree with it. It’s about being open, including being open to change your opinion, even to change as a person. Being tolerant is not easy and simple. It can be very demanding. It’s also personal. One person has more patience than another, or can listen better. And that makes the world a more interesting place. So many differences are so many occasions to learn and grow. which thus remains alien, strange, even ‘the enemy.’ Reasons for not listening can be a strong feeling of being right, as in righteous, or a sense of superiority, even more so in combination with a fear to lose it. This is a problem especially when a whole society shifts towards more ‘tolerance’. Then the ‘intolerant’ may feel threatened and can retreat into a harder stance of righteousness and superiority. 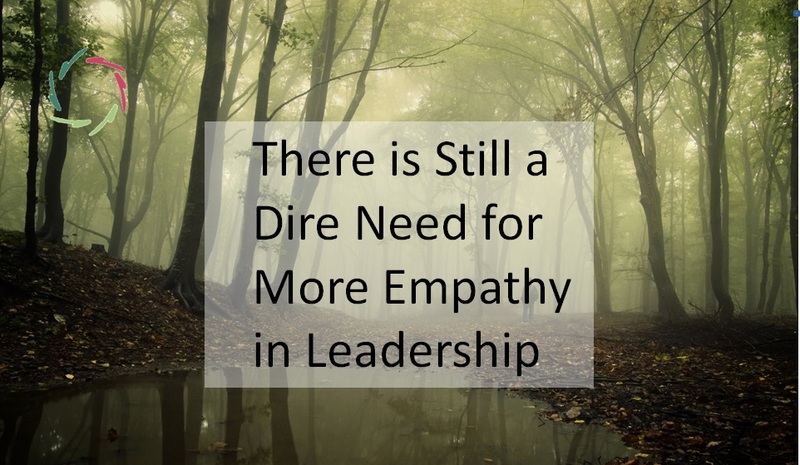 Tolerance is not about change without listening first! 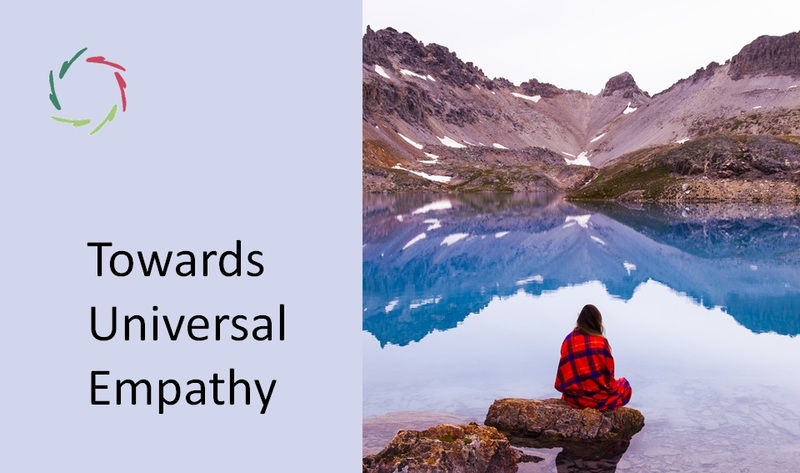 ‘Tolerance’ without listening first may for instance result in not respecting deep values that may be present in the other person’s culture or subculture and that should not be changed from outside. Change should come from inside. Then it is growth. What appears as intolerance may be a reaction to change-from-outside, driving the ‘intolerant’ to a stronghold of values. The ‘intolerant’ may be right in the end: values should not be abandoned too readily. Any change-from-outside is not what tolerance is about. Even more, so-called ‘tolerance’ can in such case become the height of IN-tolerance. This may bring about a huge societal divide. If the ‘tolerant’ do not understand this or even take a morally condescending pose, the clash heightens – which, by the way, is happening right now (again) in several parts of the world. Listen and ask to be listened to. If you keep Listening deeply (thus, with a big ‘L’) and you try to agree and this comes from both sides and still you don’t agree, that is not ‘intolerance.’ That is simply a disagreement. However, if one doesn’t want to listen at all, then there is intolerance. You should not accept intolerance. You can try to understand why the other doesn’t listen, but also respect yourself. Someone can be intolerant to you because he sees that you do not respect yourself. This is understandable. If you don’t respect yourself, how can you listen to someone else in the first place? 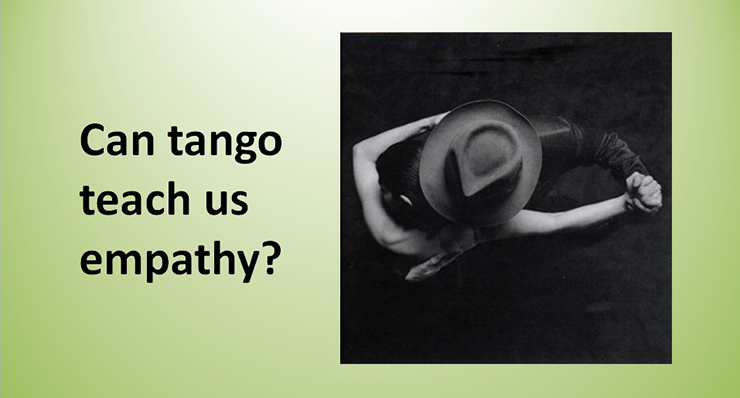 Can Tango Teach Us Empathy?